To some, one of the greatest pleasures in the world is finding a great deal. You want something that will last a long time, but it’s not going to cost your whole savings. Something that people will believe you had to pay thousands of dollars to get, but it costs you way less. Then Invicta watches might be your perfect deal. 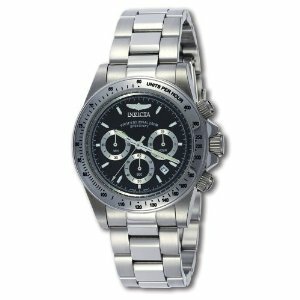 Invicta watches have a reputation for being inexpensive, but quality timepieces. With Invicta you can expect a watch that will last you for years, even decades, with the right nurturing. 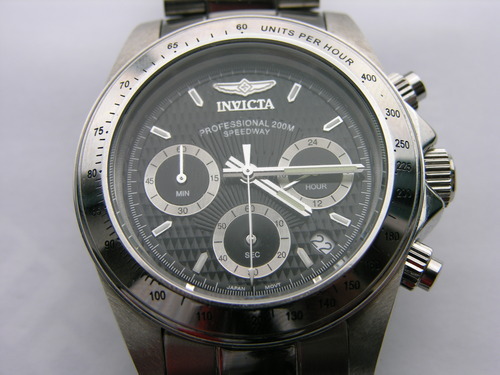 If you want a nice stainless steel clasp watch then look no further than the Invicta Men’s 9223 Speedway Chronograph watch. Like many other Invicta watches, many people compare it to Rolex watches. A Rolex watch similar to the Invicta Men’s 9223 Speedway Chronograph watch is the Rolex Men’s 40mm 18K White Gold Daytona Model 116509 Black Diamond Face watch. There aren’t many things that separate these two watches, but some glaring differences is the Invicta Speedway 9223 watch is completely covered in stainless silver and the Rolex Daytona 116509 has a mixture of white gold and silver. There are also some shape and sizing differences of the timepieces. Another glaring difference is the price tags. You can buy the Invicta 9223 for about $79 dollars on Amazon.com. 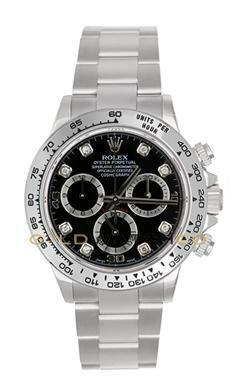 The Rolex 116509 discounted is about $24,300 dollars. Of course, the Rolex watch will live up to the price and you may never need to purchase another watch. But for a fraction of the price you can get a watch that could last you a couple years or a lifetime with the Invicta 9223, so it depends on what works best with your budget and needs. 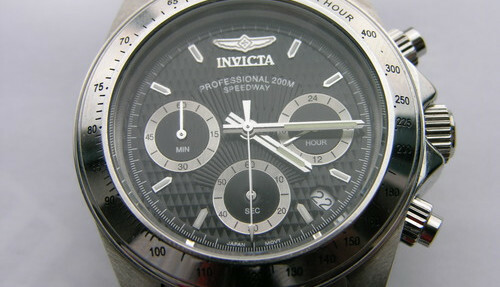 As with many of the Invicta watches the Invicta Men’s 9223 Speedway Chronograph watch has some malfunctioning issues. Many people who have had these issues also commented that some people choose to look past them because despite these glitches the watch is still a good deal. I can’t speak for them but the chronograph failure, to me, may skew me more towards not buying it. If you buy a chronograph watch, you want a working chronograph. If that feature doesn’t matter to you then this watch is a good investment.